Don't miss Sunday's Channel 4 TV programme 'Heston's Dinner In Space' - a documentary on chef Heston Blumenthal's two years spent creating 'space food' for the UK's first astronaut Tim Peake. This is possibly the most interesting piece of telly you'll watch in a long time. Sit back and enjoy Heston and his team talk through all the pitfalls of creating the perfect space food (The Real Space Food!) - not to mention the endless problems some of the ingredients can cause in a zero gravity situation. 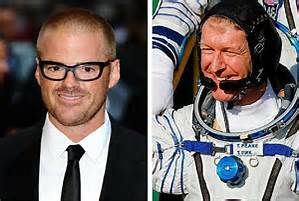 In the programme, Heston links up with Tim on the International Space Station while he eats one of the dishes he created. Heston gets emotional over it all, even though he was not the one removed from his family for six months like Peake. 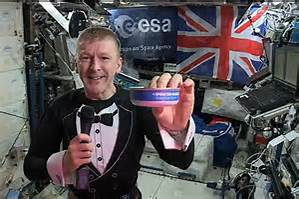 However, major Tim loved Heston's Alaskan salmon dish and gorged Heston's bacon sandwiches as soon as he arrived on the International Space Station. Heston spent two years perfecting the 'space food' - the bacon sarnie, the Thai red curry, the sausage stew and the the stewed apple. The only 'real' issues about this 'not-so-real' food was making breadcrumbs in space - they can cause all sorts of problems, as can the moisture content of onions. The water can get to equipment and can even drown the astronauts because it floats around and sticks to the face. All Heston's space food was in tins, the only option that NASA would allow was tinned food - everything had to be cooked in space for almost two hours at around 160 degrees.